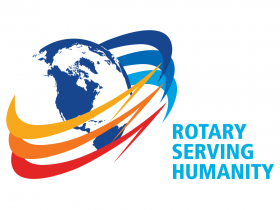 Our district completed another successful Rotary Youth Leadership Awards (RYLA) event a week ago at Fitchburg State University with 188 high school sophomores attending from more than 40 schools. These enthusiastic, energetic and creative kids attended an incredible series of training and education events over a three-day period. Each year, a group of 25 to 30 of the RYLAns are selected as group leaders to train the next year’s RYLAns. Of those, a select few are chosen to supervise the group leaders the following year. The graduation and awards ceremony was held on Sunday afternoon and more 400 parents and Rotarians were in attendance.